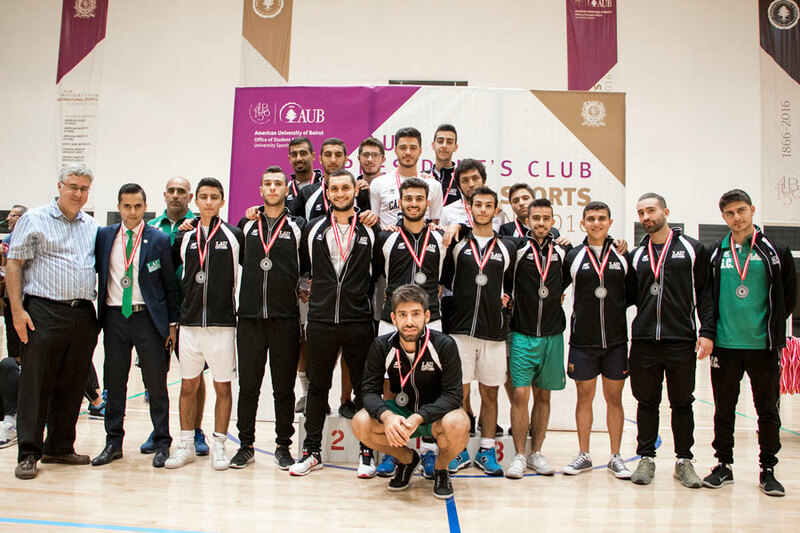 Stiff competition, camaraderie and medals mark LAU sports teams’ participation in AUB’s #150 International Sports Tournament. Business major Albert Zeinoun thoroughly enjoyed being part of the historic win. The LAU Captains defeated teams from Greece, Egypt, the USE and Lebanon to secure their first win at an international tournament. 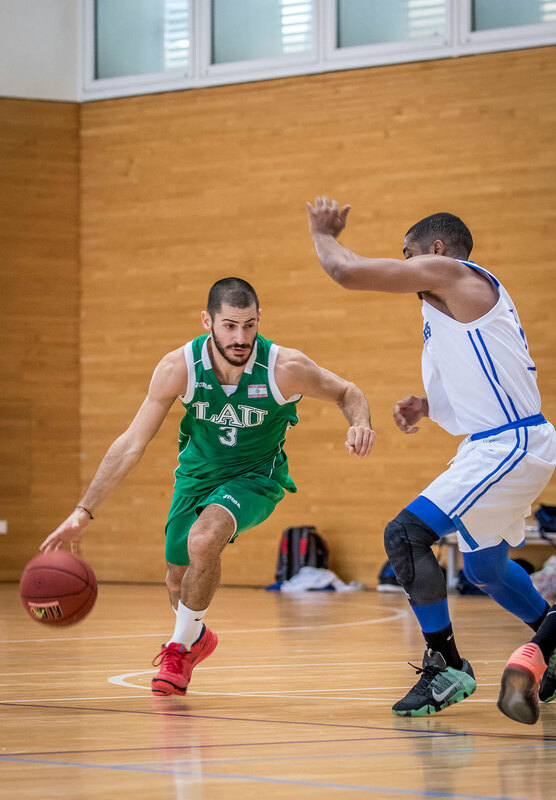 The LAU Captains men’s basketball team took gold in the AUB’s #150 International Sports Tournament, beating the team from the American University of Dubai that heads the scoreboards in the UAE. “I salute all the team members and bow to their commitment and the sacrifices they made for their beloved institution,” said Director of Athletics at the Byblos campus Joe Moujaes. 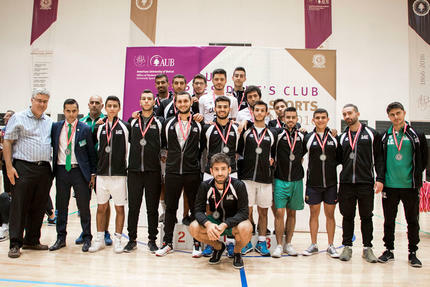 “We received a warm welcome at AUB from the president, the coaches, the athletes and all involved in the event,” he added, referring to the four-day tournament that hosted sports teams from universities in Greece, Egypt, the United Arab Emirates and Lebanon. “It was an amazing feeling, to play against international teams and win,” recalls basketball player Albert Zeinoun. “This is the first international tournament our team has ever won, so we are naturally delighted,” adds Zeinoun, who has been with the team throughout his four years as a business student at LAU. The LAU Sailors, based at the Beirut campus under the guidance of Director of Athletics Sami Garabedian, performed well in track and field events, winning six gold medals and achieving third place overall. “The tournament was very successful in all regards and the athletes thoroughly enjoyed the atmosphere and the spirited competitions,” said Garabedian, noting that the level of competition was very high. Fatima Mouzahem, who came in second in the 800-meter race, agrees. “The race started hard and fast, not usual for an 800-meter race. It was challenging, but I enjoyed the experience and the spirit of the tournament,” said the fourth year nutrition student. Captains and Sailors also won medals in swimming, rugby, tennis and football. “It was a hard fought game and we are happy with our achievement and how we played as a team,” says Daniel Messara, student of mechanical engineering, who was part of the LAU men’s football team that came in second to AUB, beating the American University of Cairo and the American College of Greece. “We drew against ACG when we visited Greece last year, so it was nice to defeat them this year,” says Messara, adding that the competition did not dampen the camaraderie he and his teammates enjoyed with the Greek players.